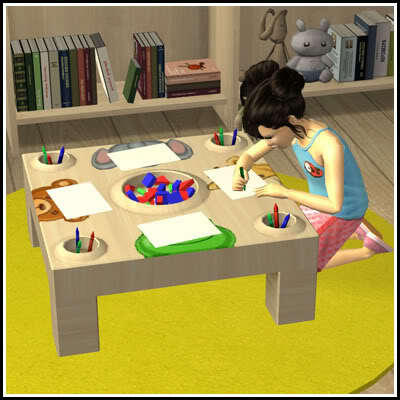 A conversion from Sims 3- a more table like activity table for kids. Decorated with animals or just plain wood, this table will go with any decorating scheme better than the original bright orange. Yea, cute find. I like it.